A second top staffer in presidential hopeful and Democratic New York Sen. Kirsten Gillibrand’s Senate office reportedly was accused of sexual misconduct. 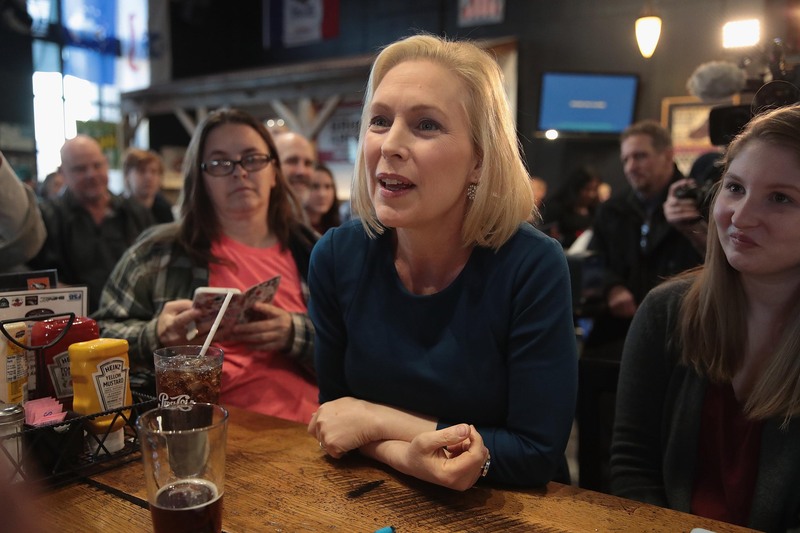 Marc Brumer, who served as Gillibrand’s communication director, was alleged to have made inappropriate comments toward a female scheduler, The Washington Examiner reported Monday. He ultimately resigned over the allegations in spring 2017. The revelation comes a week after Politico published a report that another female staffer in Gillibrand’s office resigned citing mishandling of her sexual misconduct allegations against Abbas Malik, one of the New York senator’s top aides. “I trusted and leaned on this statement that you made: ‘You need to draw a line in the sand and say none of it is O.K. None of it is acceptable.’ Your office chose to go against your public belief that women shouldn’t accept sexual harassment in any form and portrayed my experience as a misinterpretation instead of what it actually was: harassment and ultimately, intimidation,” the female staffer wrote to Gillibrand in her resignation letter. Malik was demoted after the allegations arose but continued working with the female staffer. He was dismissed after Politico reached out to Gillibrand’s office. Her presidential campaign has focused on intersectionality and gender politics as she tries to carve out a niche in a crowded Democratic primary field. Prior to the campaign launch Sunday, she attended a private meeting with roughly 20 feminist leaders, including feminist Gloria Steinem, asking for their assistance with her upcoming presidential run. Gillibrand’s office did not return The Daily Caller News Foundation’s request for comment.